Size: 9 in. × 12 in. 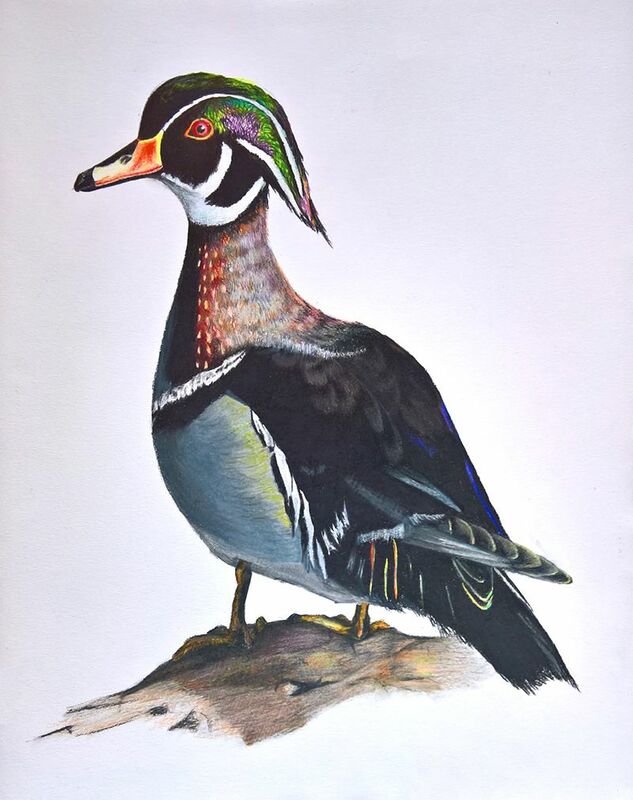 This duck was a personal project for the pleasure of my mother, who enjoys ducks and geese with coloured plumage. This is my first most successful piece using coloured crayons. The result is quite satisfying; only, one important bug, which would prevent this drawing from being successful, is the fact that the right-side wing does not extend correctly towards the crossed feathers just below: that defect annoys me a lot. Planned as a portrait for Principles of Drawing, and finished later as a personal project. Made at Pensacola Christian College as the portrait project for Principles of Drawing (AR 111). Unless otherwise mentioned, this webpage and its content is licensed under the Attribution 4.0 International license. You may quote and copy this material if you give correct credit to the author and do not distort or otherwise change the original meaning of his words. Copying any material on this website without giving correct credit to the author is both plagiarism and copyright infringment, and will be treated as such. Denis G. Labrecque published this document on December 18, 2017. Proudly hosted on GitHub using Jekyll markdown.